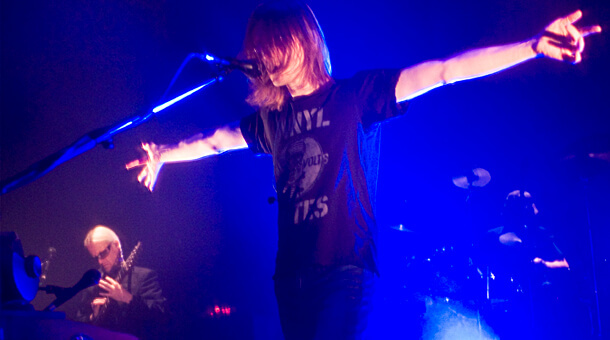 The 2nd leg of Steven Wilson’s 2013 world tour will cover the USA, Canada and Mexico. The 2nd leg begins in Tampa, Florida on 16th April and continues throughout the rest of April and May and finishes in Mexico City on 14th May. There will be a very special show on 28th April, more details on that soon. The line up on the tour will be the same as the band that recorded Steven Wilson’s new studio album ‘The Raven That Refused To Sing (and other stories)‘, which is due to be released on 25th February 2013. Guthrie Govan (lead guitar), Adam Holzman (keyboards), Theo Travis (flutes, saxes), Nick Beggs (bass guitar, stick), and Marco Minnemann (drums). Steven has been working closely with Lasse Hoile to take the visual elements of the show to the next level, making the show even more of a cinematic experience. Tickets for the shows will be on sale soon. To see the full list of dates, head over to the tour dates page.